In the constant noise of broad scope political policy changes, it’s easy to forget the power of individuals and the difference that they can make at the local level. Our recent Outside the Square – Connecting event, explored the critical connection between the environment and our health. Highlighting how much positive change is possible at a local level. 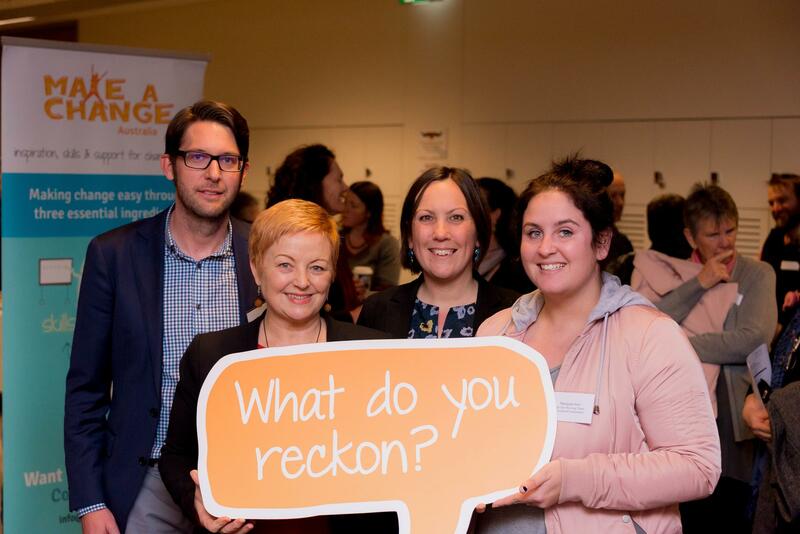 “Innovation and social change are alive and well in the communities of the Bendigo region” says Karen Corr of Make a Change, following the event generously hosted by La Trobe University, where 100 locals attended. Inspirational local speakers and interactive discussions invigorated attendees. “A healthy environment is fundamental to a healthy society, current projections for land, water and biodiversity should concern us all,” said Brad Drust, CEO North Central Catchment Management Authority. “One quarter of our children are overweight or obese and it is predicted they will have poorer health outcomes than adults of today,” said Andy Sloane of Bendigo Health and GREATER. 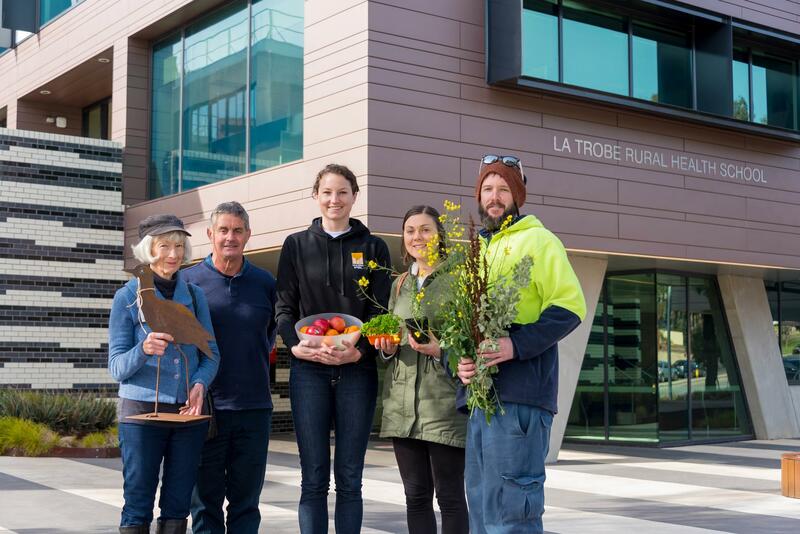 “We can’t talk about health of people and health of environment without talking about food and the need to support local food production,” said Ellen Madigan local food advocate. With these issues highlighted, it was exciting to hear from so many people just how much is happening locally to address these complex issues and what new ideas are emerging. Taradale Community Trees is a small project providing mental wellbeing and a sense of belonging for those involved. A program providing unwanted pets to those in need, assisting with isolation and mental health. A highlight of the evening was when 20 or more people stood up to share what they were working on and many new connections were made. “It’s clear that community led solutions are wanted, needed and available. It is essential these local solutions be supported and encouraged.” said Karen Corr. A great event. A lot of dedicated local people giving of their time, ideas and passion. I am looking forward to attending even more Make A Change Australia events.